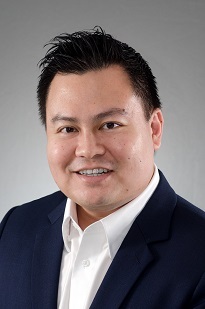 Jonathan Oon is a partner in the Shipping & International Trade Practice Group of Rajah & Tann Singapore LLP. He has also been named as a Accredited Specialist for Maritime and Shipping Law by the Singapore Academy of Law’s Specialist Accreditation Scheme. Jonathan’s practice is focused on ship financing as well as corporate / transactional aspects of shipping work. His work has been mentioned in leading legal publications such as Legal 500 Asia Pacific, IFLR 1000 and Asialaw Profiles. In 2016, Jonathan was named as one of Singapore’s 70 most influential lawyers aged 40 and under by Singapore Business Review. Jonathan acts for a variety of local and international banks in ship financing and trade financing matters. In addition, Jonathan regularly advise shipowners on a whole spectrum of shipping matters such as sale and purchase, sale and leaseback, ship repair, shipbuilding and charterparty transactions, as well as corporate and banking matters such as joint ventures, mergers and acquisitions and project financing. United Overseas Bank Limited in its capacity as lender, agent and security trustee, in a US$115 million syndicated loan to a Singapore-based containership owner for the construction and acquisition of two containerships each with a capacity of 4860 TEUs. Their US$73.5 million revolving credit facility granted to a Singapore incorporated bunker supplier who is one of the largest bunker suppliers in Singapore. The revolving credit facility was used to finance the construction cost of a 318,663 dwt crude oil tanker built in China. Oversea-Chinese Banking Corporation Limited in their financing of an Indonesian incorporated logistics company for the purpose of conversion of a 22,633 GRT vessel into a floating production storage and offloading vessel. The total financing amounted to US$27 million. Société Générale, London Branch in a cross-border sale and leaseback structured transaction involving 4 Singapore-registered containerships owned by one of the world’s top 20 ranked containership operator. NIBC Bank Ltd, acting as agent and security trustee for the lenders in a US$105 million syndicated loan facility granted to a Cypriot company for the acquisition of 2 supramax bulk carriers. DVB Group Merchant Bank (Asia) Ltd, in its capacity as mandated lead arranger, agent and security trustee for a group of lenders in pre-delivery and post-delivery term loan facilities of up to US$168 million granted to two BVI incorporated borrowers for the acquisition of two 298,000 dwt VLCCs. BNP Paribas, acting as agent and security trustee for certain lenders relating to a JPY2.4 billion dual currency pre-delivery and post-delivery facility for the financing of an acquisition of a 28,972 dwt bulk carrier. A Singapore listed investment company, which principally invests in the offshore oil and gas drilling and services sector, in their US$290 million syndicated financing coordinated by DVB Group Merchant Bank (Asia) Ltd., taken to re-finance their Discovery class self-propelled drillship and a Pelican class self-propelled drillship. Intesa SanPaolo S.p.A., Singapore Branch in their US$27 million financing to purchase a steel livestock vessel by a Singapore subsidiary of an Australian incorporated company, which is an industry leader in the agriculture, live export and mining services sector in Australia. WestLB AG, London Branch in their US$27.5 million term loan financing of a Singapore company in their acquisition of a Panamax bulk carrier of approximately 75,966 metric tons. A Singapore-based investment company in their acquisition of two marine furnishing and equipment companies as well as the related S$36.5 million project financing loan from Credit Suisse, Singapore Branch. National Australia Bank Limited in a sale and lease-back transaction involving a vessel owned by a Singapore incorporated subsidiary of the Odfjell Group, a leading company in the global market for transportation and storage of bulk liquid chemicals, acids, edible oils and other special products. A prominent Singapore public listed company in the offshore industry on their joint venture with foreign investors for the acquisition of a 40,612 GRT derrick pipe-lay barge valued in the region of US$200 million, as well as the related syndicated debt financing for the acquisition. North of England P&I Association Ltd, a leading marine liability insurer, in its setting up of a representative office in Singapore. DBS Bank Ltd as financial advisor to Pacific International Lines (Private) Limited, in relation to their offer to acquire all issued units in Pacific Shipping Trust in connection with the proposed voluntary delisting of Pacific Shipping Trust from the Singapore Exchange. Titan Petrochemicals Group Limited, a Bermuda incorporated company listed on the Hong Kong Stock Exchange, in the restructuring of the US$400 million fixed rate guaranteed senior notes issued by the company and listed on the Singapore Stock Exchange.